We had a small art night on Friday, which turned into more of a watch Kung Fu Panda 2 party (skadoosh! 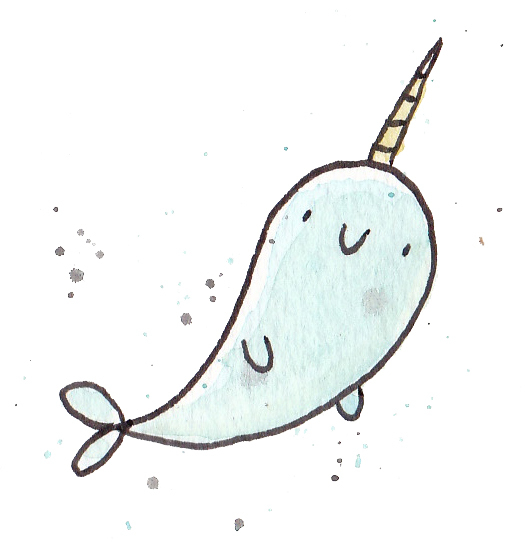 ), but I somehow managed to do a few little doodles while being sucked in by amazing animation . . . I might be a bit narwhal obsessed right now, but really who can help but love the unicorn of the sea! I have a few in this post, but you should see my sketchbook. Pages of narwhals! Of course, I had to do at least one dragon. And some monsters and an alien! 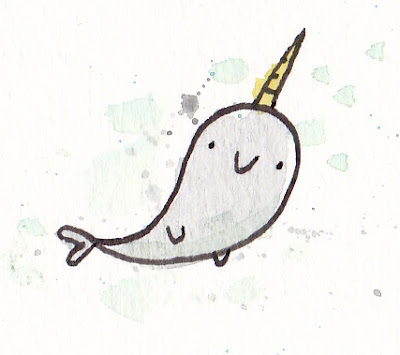 And end with another narwhal!